When it comes to printing, no company stands out more than HP. They produce everything from high volume business printers that are designed to handle thousands of pages per day, to the compact Sprocket printers that create fun little prints with a wireless device that can fit in the palm of your hand. Today, we’re going to look at something a little different. It’s not the biggest printer in the world, nor can it print the fastest, or use the most advanced new paper. Instead, this is something designed for the average person. What most people want from a printer is simple. They want an affordable way to make high quality prints. They want a balance. Your photos should still be high quality, but standard black and white documents should be inexpensive. Surprisingly, this is actually a hard thing for printer manufacturers to get right. When you’re using high quality inks, they tend to be quite expensive. Using them for text means that you’re basically throwing money away. But affordable inks produce disappointing photos, so how do you strike a balance? HP has found a way, and the technology is a lot cheaper than you think. Let’s take a look at the Deskjet 3637 and see why it’s such a popular product. From the outside, the HP DeskJet 3637 looks like your standard printer. It’s got a rounded look with an attractively laid out touch panel, and an easy to lift cover that reveals the scanner underneath. The paper tray is a compact slide-out style, so you can keep this printer efficiently on your desk when it’s not in use. There’s a compact LCD display that provides you with basic information about your print job: ink level, number of pages remaining, number of copies requested, etc. Beyond that, there isn’t too much to the exterior. The real power is what’s inside. In order to use your printer, you’re going to have to first connect to it. Pretty much every printer made in the last ten years uses a standard USB type B cable, and you can be sure that there is one included here as well. But when this standard was invented, we didn’t quite have all the mobile technology we have today. With only one cable, there needs to be an easier way to print. Fortunately, HP has included both Airprint and the HP ePrint application. Airprint is built into all modern apple products, whether they’re running IOS or MacOS. With those devices, they’ll work straight out of the box. With PCs, compatibility is a little more complicated. There’s a standard wireless print driver that most devices support. The average user, as long as their computer is up to date, will be able to print from their laptop or desktop computer without installing any drivers. If this doesn’t work, then HP has a simple solution for you. Just download the HP ePrint app from the store, and you’re up and running in a matter of minutes. Once set up, you can print from wherever you are and have the job completed in real time. This uses Wi-Fi direct technology, so even homes with spotty Wi-Fi can still take advantage of this software as long as they’re near the printer. When you’re printing color, the print resolution is an impressive 4800 x 1200. This job can be completed at incredibly high speeds, with color output totaling 6 pages per minute. But the most impressive feature about this is the quality. HP’s ink produces incredibly vibrant images, something that you’ll certainly be looking for if you’ll be printing digital photos. On standard 8.5″ x 11″ paper, you get complete edge to edge coverage. This means that your photos won’t even have a hint of banding around the edge, just a high-quality photo like you’d get from the print shop. Black and white printing was also quite impressive. The resolution is only 1200 x 1200, but where the printer stands out is in the contrast department. The blacks are very black, and the printer produces text that has a crisp, sharp image. While the text isn’t quite laser grade, it’s still very comparable. The HP DeskJet 3637 uses HP 63 ink, which is actually pretty unique in design. When manufacturers design their inks, they usually go for flexibility. They want inks that will blend well, and produce a wide range of colors depending on the quantity of ink that is placed in any given spot. This is how printers with only three or four different colors can still produce the entire range. But there are a few disadvantages to this system. You’ll run into certain colors that require a large volume of multiple colors, running you dry after a limited amount of printing. These inks also tend to be a bit lighter by nature, so dark colors can take quite a long time to dry, as there is so much ink in any one area. They counter this by mixing in black for the darkest colors, but this slightly distorts the print and reduces the dynamic range. With the HP 63 ink, they’ve taken a different approach. These are very potent inks, requiring just a little of each to get a vibrant image. 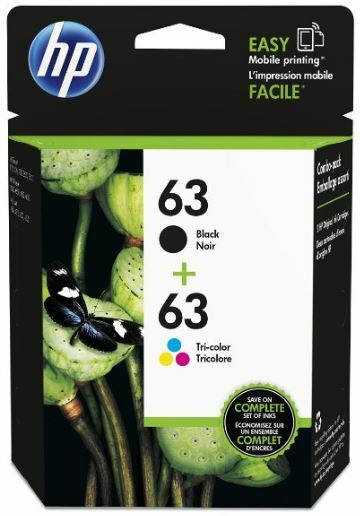 They are not combined with black at all, so the black cartridge can be filled with ink that isn’t very suitable for shading. For you, this means two things. First, the ink will dry very quickly. Just a few moments after the page is done, you can pick it up without worrying about smudging or distortion. Your cartridges will also last a long time, so you won’t have to replace them as often. This is one of the few times we’ll recommend only using official ink, but with this printer it’s all that can be justified. 3rd party manufacturers will use cheaper ink that won’t provide the same benefit. The exception would be if you’re only going to be printing black and white, but for those purposes we’d recommend a different printer. Take a look at our reviews of the best monochrome laser printers if you plan on only printing in black and white. The scanner is capable of capturing images at a resolution of 600 x 300. This is perfect for photocopies, or if you just want to digitize a few documents. But we probably wouldn’t recommend it for scanning photos. You’re going to want a resolution of at least 1200 x 1200 for photo scanning, and this one just doesn’t cut it. If you’re looking for a way to scan a lot of photos, you’ll want to check out the FastFoto FF-640. Whether you’re handling a lot of office documents or printing photos that can fit in any frame in your house, this printer equipped to handle almost anything you can throw at it. Aside from the standard 8.5 x 11” paper, it can also handle legal documents and 4 x 6 cardstock. Photo paper can be either 4 x 6″, 5 x 7″, or 8 x 10″. You can fit about 35 standard pages in the printer, although this number is cut in half when you’re using the premium grade photo paper, as it’s quite thick. Should I Own the HP DeskJet 3637? The HP DeskJet 3637 is an incredible entry level printer for home use. 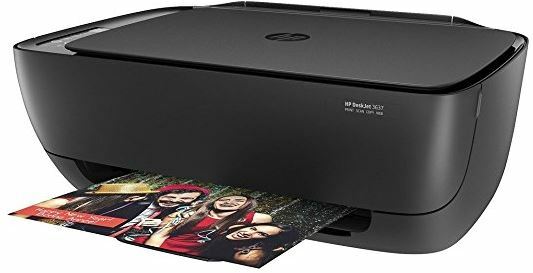 If you’re looking for something that can take care of all your documents and still crank out a great looking photo, then you’ll be very happy with this printer. The main thing we want to highlight is the price. This is pretty much as cheap as you can find a printer for. Often, products in this price range require some pretty serious sacrifices in the name of saving a dollar. But not with the DeskJet 3637. 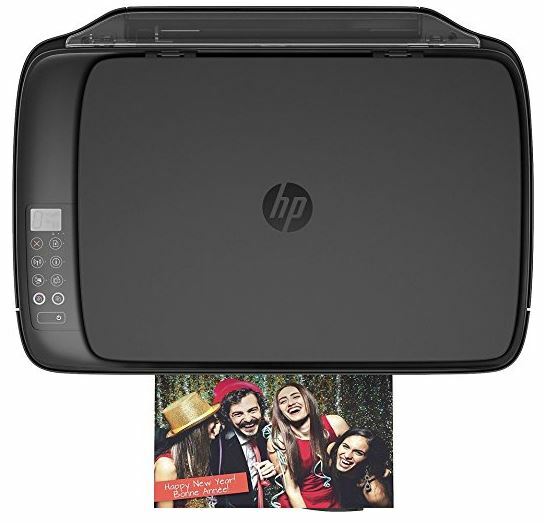 You get an easy to use, Wi-Fi compatible printer that can connect to any device in your home. You get high quality edge to edge photo printing, and ink cartridges that last a long time. For most people, this printer has it all. Is there anyone that shouldn’t get this printer? Absolutely. This model is suitable for low volume use. If you’re printing a lot of black and white documents, you’ll get better color and a lower cost per page with the Canon imageCLASS LBP253dw. 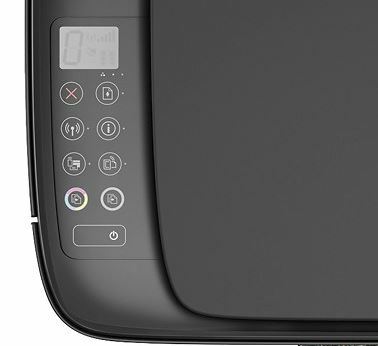 If you need color, then the OfficeJet Pro 7740 is the printer you’re going to want to buy. But for the casual home user, the DeskJet 3637 provides everything you might want. Finally a simplified and comprehensive review of this product. Thanks! Very good review. Helpful. I purchased one and am very happy with what it does. Thank you for the review. It was very informational. I may have missed this in your review, but will this printer print from a USB flash drive?